When we lived in Alaska, Autumn began in early September if we were lucky. I remember crunching through puddles that had iced over in the middle of the night several years on the first day of school in August, in fact. That kind of weather is much more conducive to Fall decorating, so here in Texas, it’s hard for many of us to get in the groove! Yesterday my mom and I were at Hobby Lobby and decided, on a whim, to pick up some stuff to make a wreath for her front door since we’re already half way through October. 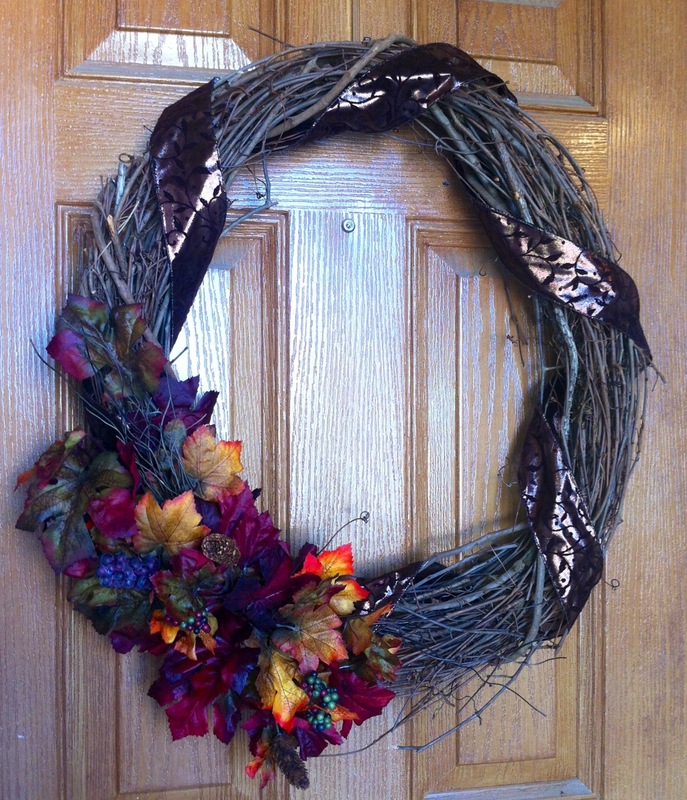 We decided on a plain dried grapevine wreath, some silk leaves and this shiny wire-edged ribbon. We literally spent more time picking out what should go on it than we did actually making it, which is nice when you have a 2-year-old underfoot and wanting to try to hot-glue his toys to his shirt. We started by twisting a length of ribbon around the grapevines and secured it with small dots of hot glue in several places. Then we grabbed a cluster of leaves, applied the hot glue and stuck them in. I love making things like this because there’s no right or wrong, I don’t have to be exact and each layer builds on top of the previous one so even if you mess up a bit, it’s easily hidden. After we rearranged a leaf here and a pinecone there, we called it good and hung that baby in the door! 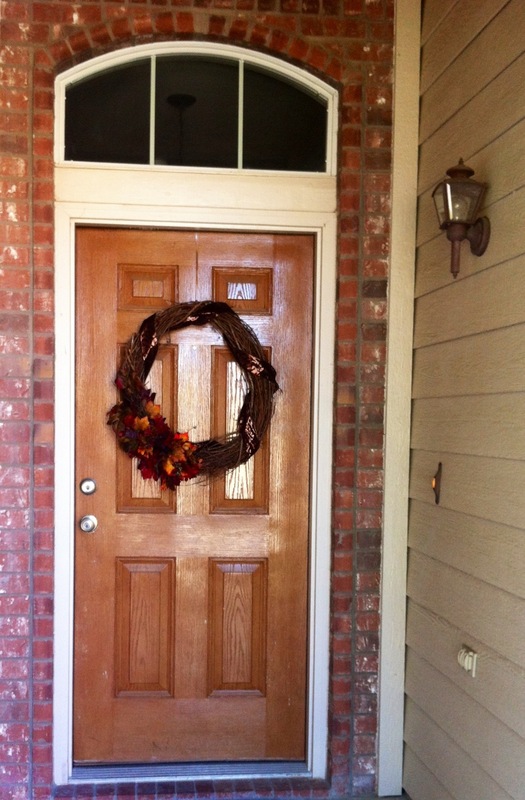 It’s not the most extravagant wreath, but it’s pretty, adds a welcoming touch to Mom’s front door and she likes it. This is the perfect kind of project for those of you who aren’t so crafty and need something quick and easy to jazz up something or somewhere in your home or workplace! Tags: autumn, autumn decor, autumn decorating, crafting on a budget, easy craft, Fall, fall decor, fall decorating, quick craft. Bookmark the permalink.